You may have noticed that the last post for this blog was October 21st of this year. On October 22nd, OHSU hospital called me up to offer a donor heart. At the finish of my antibiotic I.V. treatments for the infection I had at summer’s end, the timing for pulling all of the electronica out of my body as preparation for a full transplant was perfect. No more pacemaker/defibrillator and enough with the Cheneyesque LVAD pumping oxygenated blood. This time, a fully compatible heart from a donor was transplanted inside of me. The toughest part of this exchange is the idea that the donor has tragically lost his life as part of the circumstance for my receiving this life-saving surgery. I normally choose not to disclose this type of personal info, but the circumstances are so unusual that they will likely be the subject of future updates. The truth is I’m hosting a life inside of me, now. My life is becoming a shared experience. The transplant is a success by all measures so far. Although most of last year was spent inside a hospital, 2013 was a fortunate year for me as OHSU’s cardiac team elected to save my life twice during this period. I view the doctors and staff involved as the few gems doing their job and inadvertently bucking the genocidal health scheme, which is an observation this allopathic skeptic will never forget. Thanks to everyone for their support and well wishes during this period. The world is disintegrating further in the direction most of us predicted with ease. The Intercept will continue its commitment to posting all original material (no longer reposting news stories). Look for radio transmissions, “Tales of the Inconceivable”, a new “Let’s Get Into Trouble, Baby” site, and additional posts about election fraud, 9/11, ecological catastrophes real or imagined, false flags, war crimes, federal power grabs, propaganda and all other subjects aimed at prompting you to share a laugh at the coming apocolypse. Happy New Year! Chernobyl fallout arrived in 1986, which approximated final figures. plume from the meltdowns at the Fukushima plants in northern Japan. LOS AN GELES (CBSLA.com) — Radiation from Japan’s nuclear disaster is being looked at as one possible cause for what some experts are declaring an “unusual mortality event” after hundreds of ailing sea lion pups washed ashore in Southern California. 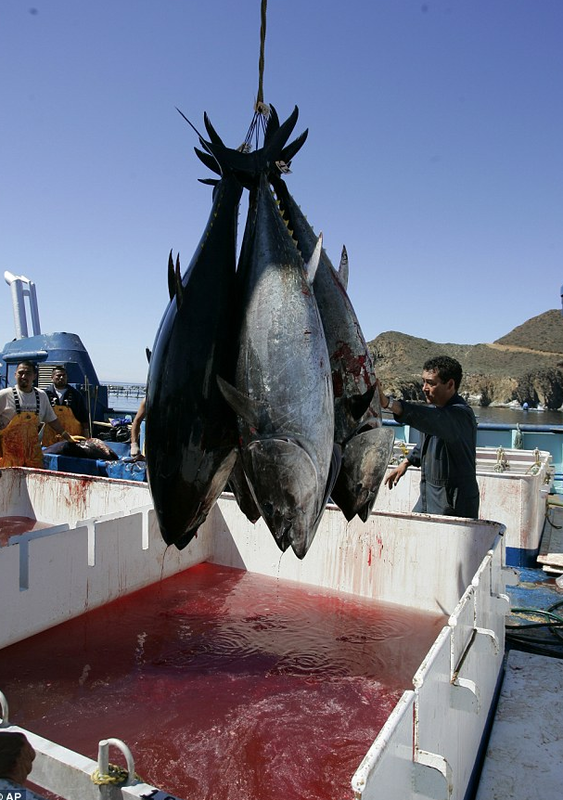 The National Oceanic and Atmospheric Administration (NOAA) has assembled a team that includes biologists, veterinarians and public health officials, among others. The team will investigate why so many sick and dying sea lions have turned up on the beaches of Los Angeles, Orange, Santa Barbara, Ventura, and San Diego counties. Since Jan. 1, more than 900 sea lions have been admitted to rehabilitation facilities, far outpacing historical stranding rates for 2008 to 2012, according to NOAA. The agency says it’s unlikely that radiation is to blame but it hasn’t been ruled out. Infants on the West Coast of the United States are showing increased incidents of thyroid abnormalities, which researchers are attributing to radiation released following the March 2011 meltdown at the Fukushima Daiichi nuclear power plant. An omniscient sign at an anti-nuclear protest in Kouenji, Japan. (Photo: SandoCap via Flickr) According to a new study (.pdf) published in the Open Journal of Pediatrics, children born in Alaska, California, Hawaii, Oregon and Washington between one week and 16 weeks after the meltdown began are 28 percent more likely to suffer from congenital hypothyroidism (CH) than were kids born in those states during the same period one year earlier. CH results from a build up of radioactive iodine in our thyroids and can result in stunted growth, lowered intelligence, deafness, and neurological abnormalities—though can be treated if detected early. Because their small bodies are more vulnerable and their cells grow faster than adults’, infants serve as the proverbial ‘canary in the coal mine’ for injurious environmental effects. China and the US seem to be on a collision course in the Pacific. Beijing is significantly bolstering its navy, and Washington is shifting its military focus to the Asia-Pacific Region. Many fear it could alter the balance of power in a region rich in oil and crucial for global trade. The best view of China’s new flagship, which inspires fear in its enemies, could recently be had from a window on the fourth floor of an IKEA store in Dalian, a port city in northeastern China. Here, someone had scratched out a viewing hole in the opaque film masking the window, providing a view of the pier across the way — and of theVaryag. This ship, whose keel was originally built by the Soviets, is now being put into service by the China’s People’s Liberation Army Navy. Shipyard employees spent years working on the colossal ship, drilling and welding. Then the Varyag disappeared a total of 10 times for sea trials, leaving geostrategists and naval experts from Tokyo to Washington endlessly speculating about where the ship might be at any given moment and with what kinds of weapons and airplanes China would decide to outfit it. Since late August, the ship has once again been docked in Dalian. On the morning of September 2, observers noticed a team of painters at work and, by the afternoon of the next day, the result of their work could be seen: an enormous number “16” emblazoned on the gray hull of the ship. This, it seems, will be the identification number of the first aircraft carrier put into service by China’s naval forces, a number said to have been chosen in honor of Admiral Liu Huaqing, father of the modern Chinese navy, who was born in 1916. One day later, on Tuesday of last week, US Secretary of State Hillary Clinton paid a visit to Beijing. This was the third stop on Clinton’s trip, which began in the Cook Islands, in the middle of the South Pacific Ocean, and would then take her to Indonesia, China, East Timor and Brunei along the way to the Asia-Pacific Economic Cooperation (APEC) summit in Vladivostok, Russia. Clinton represents a government that is paying particular attention to the actions of the Chinese navy. One of the main reasons for Clinton’s trip was to remind the US’ allies in the region that America is the hegemonic force in the West Pacific — and intends to remain so. Right at the start of her trip, in the Cook Islands, Clinton met with representatives from allies, including Australia, Japan, New Zealand and the Philippines, as well as ones from Vietnam, America’s former enemy. “The Pacific is big enough for all of us,” Clinton told them. However, some have reasons to doubt that statement because they know the US and its allies have rivals in the region, as well: North Korea and China. North Korea, under the command of a dictator not yet 30 years old, may appear to be the more dangerous opponent. But China is the weightier one by far, challenging the US not only in industry, trade and outer space, but also in the arena where the world’s major powers have played out their conflicts since as long ago as the 16th century: at sea. Here in the West Pacific, tensions have been rising for months between China and America’s partners. Beijing is in a dispute with Manila over the Scarborough Shoal, an uninhabited rocky atoll, most of which is only above sea level at low tide. This May, Washington quietly negotiated a compromise in which ships from both China and the Philippines would withdraw from the region. Since then, however, the Chinese navy has blocked off the lagoon and its excellent fishing waters and once again sent ships to patrol the area. At the same time, China is at odds with Japan over another uninhabited island group — known as Diaoyu in Chinese and Senkaku in Japanese — located near a key shipping lane between Taiwan and Okinawa. In August, activists from Hong Kong hoisted a Chinese flag on one of the islands, triggering a wave of patriotic enthusiasm on the mainland. China also snubbed its socialist neighbor Vietnam this June by establishing a city on the Paracel Islands, which are also claimed by Hanoi, as are the Spratly Islands further to the south. At the same time, Beijing began building a military garrison on the Paracel Islands. This latest step makes it clear that China is laying claim to nearly the entire South China Sea, an area of nearly 2 million square kilometers (772,000 square miles) that American strategists refer to as the “cow’s tongue” owing to its peculiar shape. It is difficult to overstate the economic and military importance of the South China Sea, which connects the Indian Ocean to the Pacific. Over half the annual tonnage of all the world’s merchant navies is shipped through adjacent sea routes here, and the region sees a third of the world’s maritime traffic. Eighty percent of China’s crude oil imports pass through here, and the seafloor holds an estimated 130 billion barrels of crude oil and 9.3 trillion cubic meters (328 trillion cubic feet) of natural gas. “All of the trends, demographic trends, geopolitical trends, economic trends and military trends, are shifting toward the Pacific. So our strategic challenges in the future will largely emanate out of the Pacific region,” said Chairman of the Joint Chiefs of Staff Martin Dempsey when laying out the US’ new defense strategy together with President Barack Obama this January. Obama, who was born in Hawaii and raised in Indonesia, has declared a strategic “pivot” of US military strategy to the Asia-Pacific region. Indeed, the Pacific is more important to the US’ future than Europe or the NATO territory along the coasts of the Atlantic. Obama traveled to Australia last year to personally announce plans for a new US Marine base there, and his administration has plans for conducting joint maneuvers with Vietnam as well as for setting up ultra-modern equipment in Japan as part of a missile defense system for Asia. The 7th Fleet, established in 1943 and now stationed in Japan and Guam, is already the US Navy’s largest and strongest force, with more than 60 warships and around 40,000 personnel. In the coming years, it will be expanded even further so that, by 2020, some 60 percent of all American warships will be stationed in the Pacific — more than in the Atlantic and also more than in the Persian Gulf, which has been considered the US Navy’s main focus in recent decades. One of the primary reasons for this fundamental shift on the part of Obama’s administration is China’s build-up of its military forces, especially its navy. A congressional study published on August 10 suggests that the United States considers the modernization of China’s navy an aggressive act. According to the study, Beijing is by no means simply trying to protect its trade routes and its citizens abroad but, rather, is determined to assert its territorial claims, push back the US’ influence in the Pacific and underline its status as a global military power. China’s navy, Xu says, has a great deal of catching up to do. The Varyag will be put into service this year, he adds, but Beijing will need at least six to eight more “proper” aircraft carriers, while the navy’s importance within China’s forces as a whole needs to be considerably enhanced. Currently, Xu explains, the personnel ratio between China’s army and navy is 7 to 1.5, while the desired ratio is 5 to 2.5 — which would still be more sparing than in the US armed forces. If the desired ratio were indeed established, China, with its enormous number of troops as a whole, would field the world’s largest navy, with nearly 500,000 sailors — although Xu Guangyu says the country’s total number of soldiers will soon be reduced from its current level of 2.3 million to 2 million and, later, to 1.5 million. Regardless of how China’s strategic position may change in the coming years, Xu says, the importance of its navy will increase: “We have a couple of conflicts along our land borders, but the greatest dangers for China have always come from the sea.” The “Eight-Nation Alliance” that put down the Boxer Rebellion in 1900 and laid waste to Beijing approached from the sea, he points out, as did Japan when it subjugated parts of China in the 1930s and 1940s. “And I have the impression that the Americans aren’t going to come out of the skies either,” Xu adds. Seven years ago, when the US military was still mired in Iraq’s civil war, American journalist and policy thinker Robert D. Kaplan predicted that the US would eventually turn its attention from the Middle East to the Asia-Pacific Region. Now, history has proven Kaplan right as global power relations are developing in just that direction. President Obama has clearly shifted the US military’s strategic focus from CENTCOM, the command center responsible for the Middle East, to PACOM, which is responsible for the Pacific. Kaplan also described China’s desire, as an up-and-coming nation, to secure its sphere of influence beyond its own coasts as “fully legitimate.” Zhu Feng, a Chinese security expert at Beijing University, further suggests that America will only “accelerate” the arms race by implementing measures such as the planned missile defense shield. One country that could give China good advice, a country whose historians are well versed in naval policies and in arms races on the high seas, is Germany. A century ago, Berlin stood where Beijing is now, as an emerging economic power that was admired, envied and feared. At the time, Germany wanted a navy that would broadcast its self-confidence to the world, one that could rival the world’s greatest naval force of the era, the British Navy. That plan almost succeeded. But it didn’t end well. Caldicott: If you put concrete on it, you know it’s going to keep going down into the water table. Caldicott: And you know it’s going to keep contaminating the Pacific Ocean for the rest of time. Gundersen: Right. So the solution — there is no good solution — but the solution would be to bore holes underneath and constantly pull water out from under the buildings. Caldicott: You are sacrificing the Pacific by leaving this stuff there for the rest of time, which will leak and drain consistently into the Pacific. Many Berkeley residents have been in touch with us today asking about the helicopters that have been flying overhead, across the city and also into Oakland. A call to Berkeley Police Department confirms that the choppers are out measuring baseline radiation levels. The flyovers are part of research by two federal security agencies — the Department of Homeland Security and the National Nuclear Security Administration — to compare aerial and ground based mapping of radioactivity, according to a story in the Contra Costa Times. While the purpose may be worthy, the low-flying choppers — they need to fly at around 300 ft — are not proving popular with everyone. “It’s driving me batty,” said Berkeleysider Emily Cohen. Update, 6:00pm: Berkeley Police say the helicopter will be making daily flights for five days, between Aug. 27 and Sept. 1, 2012. 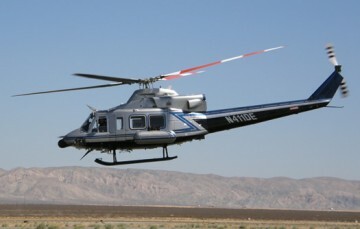 “The helicopter will fly in a grid pattern over the locations about 300 feet above the ground,” they said in a release. This video was taken on March 14, 2011. Right now [Daini’s] plants are not safe, so we use emergency power supplies. Unfortunately they refuse to supply fuel. We prepare emergency rooms for Unit 4 of [Daini] and people from [Daiichi]. We prepare emergency rooms for each. So Head Office, please think separately. That’s all. FUKUOKA — Around 70 percent of citizens who wished to air their views on the future of nuclear power at public hearings held by the government wanted to discuss its complete elimination, officials said Saturday. A series of 11 hearings, each in a different city, have been staged all around the country since July 14 to give the public an opportunity to express their opinions about the government’s three options regarding the role nuclear power should play in Japan’s new energy policy. The final forums held Saturday in Fukuoka and Takamatsu, Kagawa Prefecture. Under the three options, the percentage of electricity to be generated through nuclear power by 2030 was set at zero, 15 percent, and 20 to 25 percent. The government said Saturday that of the 1,542 citizens who wanted to take part in the hearings after being contacted by its officials, some 1,447 hoped to voice their thoughts about atomic energy. Of the 1,447, some 983 people, or 68 percent, wanted to speak either for or against the complete abolition of nuclear power by 2030, according to the organizer of the hearings, the industry ministry’s Agency for Natural Resources and Energy. The majority wished to speak in support of scrapping all atomic energy generation, while 11 percent wanted to talk about the 15 percent option and 16 percent of them about the 20 to 25 percent option, the agency said. Five percent wanted to challenge all three options. The 1,447 did not include anyone from the city of Fukushima, even though it was one of the 11 venues selected for the hearings. The prefecture hosts the crippled Fukushima No. 1 power plant, which suffered three catastrophic reactor meltdowns in March 2011. 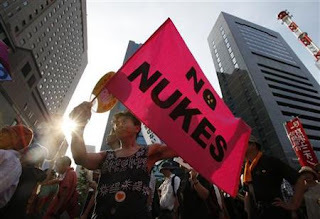 Meanwhile, the government on Saturday began a two-day public survey in Tokyo on the country’s new nuclear energy policy. The government said it will take into account the results of both the public hearings and the Tokyo survey while formulating its energy and environmental policies, although it has yet to explain exactly how it intends to incorporate the findings. “What should WHO have done after Chernobyl ?” asked Dr Nabarro in 2002 when he was Acting Director-General of the World Health Organization. I replied immediately, and then confirmed it in writing: “Convene a Scientific Working Group on Ionising Radiation and Genetics” like the one in 1956, and add the words “and Genomic Instability”. Since 1959, an agreement signed between WHO and the International Atomic Energy Agency, and then a number of additional legal texts, prohibit WHO from intervening in nuclear accidents. What genetic damage has been done to the population following the accident at Fukushima? Are the alterations already recorded in the cells of those workers who have exhausted themselves, over the last year, in an effort to reduce the dissemination of radionuclides into the environment. What about people who inhaled radioactive material and ate contaminated food ? Has this induced genomic instability? And the children that have been born since, or who will be born to fathers or mothers who have been irradiated. Have they inherited the fragile genomes of their parents? Are they, perhaps, going to be even worse affected than their parents ? In fact, researchers have been surprised to find that genetic damage, and above all perigenetic damage, which is responsible for genomic instability, to descendants is far worse than to parents; and this risk increases from one generation to the next. R.J.Baker and his colleagues, studying the DNA of genes transmitted from mother voles to their babies, found levels of mutation, from generation to generation, reaching 100 times higher than anything we have previously encountered up to now in the animal kingdom. The area in which these rodents live has seen its level of radioactivity decrease, because Caesium 137 is carried in rainwater and infiltrates deep into the soil, where it can be recycled by plants. One might think that in forests far away from Chernobyl that these rodents would react positively to these improved radiological conditions. But the mutations and the genome fragility have increased over 22 generations in populations of voles studied by Goncharova and Ryabokon in Belarus. These geneticists have observed the opposite of an adaptation to radioactivity: an increase in genomic instability in all populations studied, from 30 to 300 kilometres away from the stricken reactor. In the least contaminated zones, near Minsk, the genomic instability is slow, but it will persist and worsen up to 22 generations later. At Fukushima, genomic instability needs to be followed up over generations, starting with grandparents and parents, then the children and grand children. After a year, the damage caused by the mixture of internal and external radiation to children should be measured, by comparison with data from before 2011 in the same areas, or by comparing data with communities further away, that were spared the radioactive fallout. Birthweight, incidence of stillbirth, perinatal mortality up to 28 days, birth deformities (heart problems should be investigated later), and among the genetic diseases, Down’s syndrome, should all be studied. Brain damage with tumours, and developmental retardation which, like decreases in IQ, will become evident at school age. In order to achieve its objectives, the IAEA cannot admit that these serious and common illnesses were caused by ionising radiation, because once known, it would prevent the development of the nuclear industry throughout the world. It was almost incomprehensible that at Fukushima there was no distribution of stable iodine to the population that would soon be under threat. Such a preventive measure would have been welcomed, as Keith Baverstock showed in Poland after Chernobyl. The first victims of a serious nuclear accident are and will be children, with an increase in allergies and an aggravation of infectious diseases, which become chronic and involve serious complications. In equal doses, external radiation is ten to a hundred times less damaging than chronic internal radiation, which essentially results from the oral absorption of radionuclides. These concentrate in organs like the thymus, the endocrine glands, the spleen, the bone surfaces and the heart. David Ray Griffin: New 9/11 Presentation “September 11 – the New Pearl Harbor.” In a Class by Itself.